His say is he has not written the lyrics for the film but the makers have included his name in the end credits’ plate in the trailer. But, it could also be some another ‘Javed Akhtar’; the level of coincidence is too high for that. The makers have not released any official statement about the same. 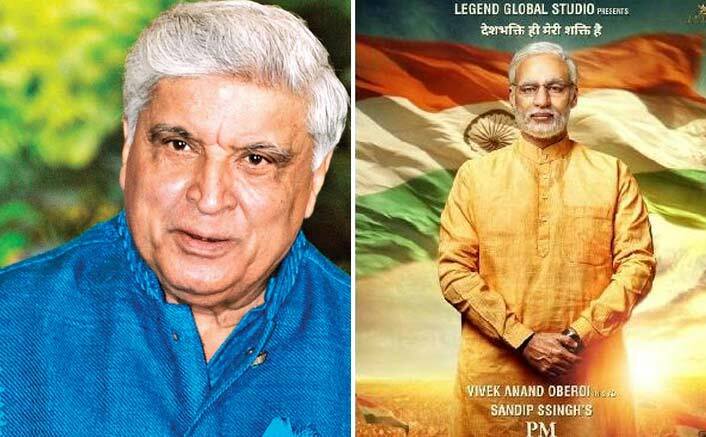 The film stars Vivek Anand Oberoi in and as ‘PM Narendra Modi’, actors Boman Irani, Manoj Joshi, Prashant Narayanan, Zarina Wahab, Barkha Sengupta, Anjan Shrivastav, Yatin Karyekar, Rajendra Gupta, Akshat R Saluja,Jimesh Patel and Darshan Kumaar in important roles. Previous ArticleNotebook: Here’s How Mentor Salman Khan’s Favourite Zaheer Iqbal Prepped For His Role! Next Article #KoimoiPicks: No Offence, But These Top 5 #ShameOnKaranJohar Memes By Shah Rukh Khan Fans Will Crack You Up!